One of the Mists of Pandaria world bosses. Galleons were large warships used by European nations in the 16th - 18th century, hence why this guy seems to have his own 'crew' on his back, complete with cannons, warriors and even a grappling hook. Just to confirm it has been killed on EU server today at around 10:40 am it was unfortunately most likely killed by the warlock exploit as i was told reports it was one shotted. the entire pandaria contitent then shut down for a few mins as a result of it, a real shame as i was trying to recruit pple to attempt it at the time from trade. Id estimate 50-80 players lvl 85+ would be needed to kill it currently as it hits an 87 tank for 60k's and has 261million hp. best of luck to the pple who do kill it legit way. oh as for where it spawns when it spawned today it spawned south-east corner of Valley of four winds south of the river and its presence is annouced by one of its adds Chief salyis yells out. It seems like boss armor in MoP is going to be 24840. Galleon is one of the new world spawn bosses. One location i have seen him spawn at is just south east of the Silken Fields in Valley of the Four Winds. As of right now he has 261M health. When aggroed an NPC riding him, Chief Salyis, yells out "bring me their corpses!" and i'm assuming when a player is killed he says "They are soft, weak!" as i was one shotted as a 86 when this occurred. Saw him this morning and was very excited to see a rare boss. No one was around so i just watched him. He was on the Rubbling Terrace shooting I guess cannon balls across the river at the Silk Farm in Four Winds area. A opposing faction druid (i think resto) charged him and was one shotted, Galleon despawned. Exploring the area I saw many skeletons so this might have been going on for a while. he respawned about 30-60 seconds later. Note he will aggro if you get too close to him, but it's much smaller radius then it is for normal bosses. You can see him from far, far away. Reminds me of Blastoise, just less... of a turtle. This rare world boss also drops a ground mount it would seem: Son of Galleon's Saddle. When he spawns the whole zone can see (and hear) Chief Salyis yelling "Loot and pillage, bwahahaha!" Just killed this boss on Eonar-EU. Group consisted of 38 people ranging from level 86 to 90. We had 2 tanks, both level 90 and both had around 430k hp. We had 6 healers, who were constantly low on mana but the fight went smoothly with only a few deaths (3 or 4). We had around 129k hps total. The boss had 320 millions hp (as opposed to the beta where he had 260 millions) and the fight took ~14 minutes. The total DPS at the end was 736k (best DPS was 50k, lowest somewhere around 20k). We didn't really use a strategy at all, we just stacked up behind the boss when the adds spawned and AoE'd them down. Upon its death everyone received the achievement Extinction Event and either a useful level 90 epic (496 ilvl) or a Marauder's Gleaming Sack of Gold. Sadly no one received the mount. I hope these stats are useful to anyone looking to get a raid together to down him. Good luck! Spawned at roughly 1 pm on Draenor EU. We've made a raid of 40 people and tried our luck. First of all, it's probably close to impossible for 40 people to do this if you're all still levelling. On our best try, we got him to 250 million (out of 320 million he has). Second, here's some tips if you still want to try to kill him. 2) His stomp comes every minute or so, and does inevitable (though mitigatable with armor) 150k damage to everyone 100 yards or closer to him. This just has to be healed through, jumping doesn't work. Healers should put absorbs on the main tank, as the attack also leaves a 3 second stun. 3) Stand close together. He's so gigantic you won't even notice you're 60 yards away from all healers. This is important to heal the stomp damage. 4) Get an offtank (or two) and have him collect the adds. When there's enough of them, AoE. Was killed on Stormrage about an hour ago with a 40 man raid, only had about 10 or so level 90s the rest were 86+. It is doable, just takes a bit of time. We popped hero at the start and it was up again when he was around 35% health. Loot is the same as LFR, and a lot of people got some kind of useful epic. The rest got a bag of gold, with 28 gold and some change. I encountered him around 3PM EST on Hellscream-US. He was shooting cannonballs at Mothran, the giant moth in Silken Village. What is it with giant lizards and giant moths? Someone can add this stuff I've seen so far to their guide. The rounds he shoots at Silken Village can hit you for 15k gear or no gear. He re-spawns with the rider saying the following quote. "Chief Salyis yells: Loot and pillage, bwahahaha"
He re-spawns 1 min after he kills a random player who gets too close. He located about 69.5 69.0 in the Valley of the four winds. This info is from what i have seen on the Skywall server. 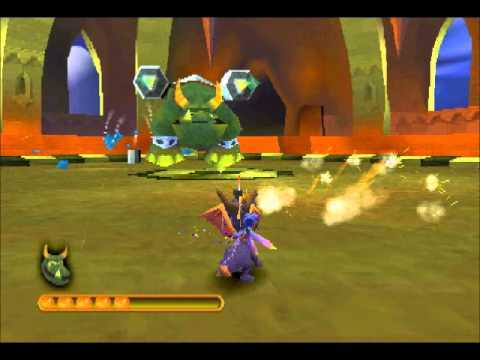 I think he may be a reference to Gulp from the old game Spyro II: Ripto's Rage. Could just be a more general idea along the lines of "dinosaurs with guns/sharks with lasers" trope, but it seems rather specific to me. Downed him yesterday at around 3 Server time. We had prob 40 in a group and a few other stranglers helping. We wiped first time not even close but we downed him the second time with half the group dead heres how we do it. He had 320M HP Exactly. 3. Have the MTs face boss away from raid, critical you do this. 4. Have the OTs pickup adds and put them in raid, from there you AoE them down. 5. When he casts stomp use damage reducing abilites to nerf the damage. Healers be ready to AoE heal a lot everyone will be on or around 25% HP. 6. When he casts the cannon attack it will not be a issue of hes facing away from raid. If hes facing towards them the raid needs to run away asap. Its a rinse and repeat fight, we did this with only like 2 90s and most 86s-88s. Loot: We all recieved one of those bags, some people only recieved 28gold which was a disappointment, others recieved purple level 90 rings, around a 490 ilvl. Killed him yesterday with 38 people on Moonglade - EU. 3 tanks and 7-8 healers. All dps and healers and one OT on his side, 2 tanks in front of him. The only tricky part is the Stomp for which the tanks should use a CD and healers AoE heal quickly. Adds will jump down few seconds after Stomp. OT should collect and AoE them down. Toward the end of the fight it gets more chaotic, use heroism and burn him down. We headed toward Sha of Anger and killed it after a wipe too. My full 40-man raid group successfully downed Galleon about 6 hours ago on Dethecus (Alliance), sadly no one received the mount although several people won level 90 epics. It was well worth the achievement and 28g regardless. Our exact strategy was as follows (If you're not familiar with his abilities click the "Encounter" tab above the comments section). The main tank had the boss facing north (the original way he was facing), while EVERYONE else stacked directly under the boss (slightly towards his hind legs so that any AOE damage done to adds also splashed to Galleon). When Cannon Barrage began the tank kited the aim away from the raid while obviously dodging the blasts, then returned to position immediately when it finished. Both off tanks stacked the adds with the rest of the raid (so healers would have no trouble mitigating the damage being done). Now the most crucial part of our strategy was recovering from each Stomp. I (Disc Priest) activated Power Word: Barrier each time I could and our raid was so tightly stacked that all 39 of us could fit in my Barrier. We had 4 Resto Shamans and 2 Holy Paladins as well, each saving Healing Rain and Light of Dawn for when he used Stomp. Other than that, it's a simple rinse and repeat strategy. The real trick is to beat his enrage timer because if not he will wipe the entire raid. The boss is really easy compared to Sha of Anger. If you have a skilled tank with decent gear, you won't need a second tank. There is no need to taunt the boss in any case. A second or third tank is only needed to take over the boss if the first tank can't dodge the cannon barrage. Healers just have to focus on their mana. Since dps won't take much damage, you just have to heal them after stomp. Does anybody know the respawn timer? Phoenixx Rising on Winterhoof Downed him today in 10minutes with a pug, Avg level of 86. Place your tank at the head, normal spawn position, get in very close and he will avoid Cannon Barrage. Have paladins rotate Devotion aura, and have druids ready with with Tranquility after Stomp. No tail swip, so DPS is safe in the back. Have your other tanks pickup adds, group them together and ranged DPS the adds down. Boss will go down with no issues. You don't get loot if you join somebody else's raid group on another realm. I assume it's the same for the other world bosses.You now get loot from killing a boss on another realm. *Edit* Well apparently you no longer get loot on another again, and I mean just Galleon. Guys What about the re-spawn time ? Like raid lock we must wait 1 week? What about the re-spawn time like boss encounter we must wait 1 week ? You can only get Marauder's Gleaming Sack of Gold once every week from this world boss. So don't bother trying to farm the world bosses. The two most noteworthy abilities is his stomp, which hits everyone near him for around 100k damage, and shortly after the stomp he will summon some adds which need to be grouped up and AoEd down. His berserk timer is 15 minutes. It is easily killable with around 20-25 level 90s (in more or less any gear), it can be done on lower levels too but will need more people then. Twisting Nether (US) downed him yesterday, mid-afternoon, pretty sure the server first. Horde side (of course!). In a raid of about 40, levels 86-90 (I was on my then 86 bm hunter). 5 tanks, 8 dedicated healers. Took about 15-ish minutes (mostly due to a good chunk of the dps was under 90). A fun world boss and you definitely can't miss him! Anyone know of what the loot list for this guy is? If you see a group already fighting him and want to watch, keep an eye on your health bar. I was in the air and what I thought was quite a distance away when I looked up to see that I was down about 2/3 health. Looking at the combat log, I could see that I was getting hit (I don't know how I was oblivious to this one) by "Salyin Skimisher Fire Shot" for 30k per hit, but the big one was "Galleon Stomp" that was hitting for 100k. If I'd hovered there like an idiot for much longer, I would have suddenly fallen dead like an idiot without noticing. And think about that: His stomp is so hard, it apparently sends shock waves through the air for quite a distance. The dude's feet are like nukes. Seems the shortest respawn for him might be 14h. I dont see any lootlist here. The boss melee hits like a TRUCK. Do not expect to tag it and survive until a proper tank gets around. As a monk tank with full 5man + few raid gear, I was regularly taking 200k hits (after ~50% stagger absorb). Galleon was killed about 6 am server time on Draenor EU. One of my guildees was lucky to get a 496 ilvl healing leather belt. Just so there is no confusion, you MUST be in the raid group that tags him to get any loot. Assisting from outside the raid gets you nothing, regardless of how much damage you do to the boss. To see the lootlist in game you can press Shift+J to go to the dungeon journal. Then type "Galleon" in the search at the top right. Can anyone confirm how many pieces of loot drop? Is it a fixed number or dependent on your raid size? I got Necklace of Imbued Fury from killing him. This looks to be the best caster DPS neck around outside of Heroic Raiding. If you are looking for a loot list, as some seem to be, open your dungeon journal in game (default shift-j) > raids > Pandaria > Salyis' Warband. On the right-hand side of this panel are the same tabs you would see for a boss in a dungeon or raid - one for abilities, one for loot (the treasure chest!). Additionally, you are able to expend 1 Elder Charm of Good Fortune for an additional chance at loot on world bosses. However, you may still only receive loot for killing a world boss once per week. IE, if you killed Galleon on Wednesday for loot (with or without Charm), and killed him again on Friday, you would not be able to expend a Charm for extra loot on Friday. To further clarify, you are only able to expend a Charm for a second chance at loot if you are eligible for loot in the first place. I have not seen this guy dead or alive ingame so far, And my server is pretty dead, It's almost impossible to get a kill on this guy unless you're online every day and check his spawn spot regulary, If you see anyone with this mount, I can assure you, thats one hell of a lucky person, This mount is one of the rarest ingame atm. This script will print a message in guild chat when you see a yell from Salyis, like when he spawns. Useful if you plan on going afk at the spawn point. We were a total of 40men all level 90. His pretty easy to kill, just watch out for his "stomp" and put on of the tanks in command of keeping aggro of the adds which jumps down from Galleon's back. We had no deaths during the fight, only in the beginning because we were fighting against the horde. Three tanks (incase one tank died) Warrior on the adds and another warrior on the boss. Didnt get any items, only 28gold. Its now 72h and 13 minutes since galleon spawned on Twisting Nether EU..
Reported spawns of as little as 22 hours and as big as 73.5 hours on Stormrage US. Not sure how low/high it can go. edit: along with the camping waiting for him to spawn, when he does it's a cluster#$%^ and it's so laggy. Galleon is lootable cross realm now. Comment irrelevant. You can not receive loot from Galleon on another realm outside your own for US realms. You still get the kill/achievement, just no loot. You can from get cross realm loot from Sha of Anger though. I think my last post was written poorly and misunderstood. "Players visiting other realms via RealID or Battletag parties will no longer receive loot from Galleon/Salyis's Warband." I highly recommend setting up a chat channel /servernamegalleon and spreading it around to the top guilds/friends and so on. Now you can go about your day running heroics/raids/dailys and what not without missing out on a galleon spawn. It's true that you can't recieve normal loot if you're killing Galleon or Sha cross realm! BUT you can use your gold coin for bonus loot. This is for EU and US. This respawn time is a joke. His spawn gets camped so badly that even when he does spawn, you'll never get a chance to kill him unless your in one of the top guilds camping him. Once again blizz has proven they like to cater to people who do nothing in their spare time but play WoW all day, and those of us who actually have lives will probably never get to see this content. Here is how his spawn works. (most of the erratic spawn behaviors from earlier weeks were bugs). As of 5.2, he obviously is up all the time. his cd is very low and he usually returns within an hour or less of last death or reboot. His cd seems to be lowered to 48 hours instead of 72 as of week of Dec 8th. As of hotfixes of end november. They disabled the CD remover on restarts and he now enters 72 hour no spawn cd upon maintenance ending or restarts. His behavior now seems to echo that of the cata world bosses. To reflect on how he USED to work earlier expansion: Galleon has a 48 hour no spawn cd after any time he dies or servers restart/shutdown. When this ends, he enters spawn window which is about a 48ish hour spawn window. When you add both together, it means he'll spawn between 48-96 hours after his last death or the last server restart. (if servers restart, it goes back to above point, 48 hour no spawn is restarted). Basically, to sum him up, he worked exactly like the cata world bosses now but with a shorter cd (48 hour instead of 72). Because of lowered cd though you should still see at least two Galleon's per week quite frequently. However, there is still a good chance of him not spawning after major patches that involve a good week or two of frequent restarts after. To reflect on how he USED to work even earlier expansion. he used to still have 72 hour CD, but restarts removed it completely and put him immediately into spawn window after a restart. This was no accident and I believe was blizzards intent to be a fix over the cata world boss behavior to prevent mid week restarts from crapping all over his chance to spawn that week or having an adversely negative effect if realms have to frequently restart for hotfixes or server issues. They did genuinely listen to the feedback us world boss farmers gave during cataclysm and take it to heart with MoP launch. Feel free to SHARE and spread the crap out of this. Currently, if you are IN the group that gets the tag you can leave and form a new raid group to share the tag with. This means potentially up to 1600 people that get a chance at loot per spawn. Realistically, you can just share the tag with a few hundreds people on your faction(more would take a coordinated effort). The enemy faction is still out of luck. Nov 6 2nd Edit: His spawn seems to have changed so that he doesn't repop immediately with server maintenance/restarts. Additionally, on servers where he's up when they go down, he doesn't appear to be coming back when the servers do. It's unclear, but Blizzard has definitely changed something. Kill tags still sharable. December 23rd Edit: With the 5.2 PTR Blizzard currently has plans to make world bosses Tap to Faction. "This new system offers every eligible player of the same faction that engages a boss the chance to earn loot. Under the new system, players will only be able to earn loot from each world boss once per week, but bonus rolls apply. Bosses will now respawn more frequently as well." Was online for a server reset when he respawn at 12:45 pm on 10/23. He just came up today, 10/27, at 11:00 am. That's just inside the 4 day window he's thought to spawn in. Seems to be currently broken on multiple realms. - It IS possible to win loot from Galleon more than once a week. - It IS possible to win loot from Galleon cross realms by using a Charm only. if either of the above cease to be true at some point, please reply here, thanks. again on october 30 at 2:05pm sever time galleon spawned right after the restart. we had 40 allys waiting there so we could get ppl back into the raid group and we just had one person invite a couple then the rest invite. we had a couple mins before he actually spwaned. and we tagged him, i got no gear just gold but... ppl don't think my last post was right. it is people that's 2/2 for the month of october for us, on my sever with galleon...anyone else plz post that it does spawn after restart. What Tarek said is true believe it you idiot! Cenarius just had galleon spawn after about 87 since the last kill. I'd like to point out that he might be a Spyro reference. He is extremely similar in appearance to Gulp from Ripto's Rage. It's being said that on the contrary to Sha of Anger and LFR you can receive loot on Galleon multiple times per week as he's not a guaranteed spawn or something down those lines. I have however not been able to confirm nor deny this claim as I've only killed him maximum once per reset. Can anyone confirm or deny that it's possible to get loot on Galleon multiple times per week? Ah yes... the 1/40 chance to get a piece of gear that will be obsolete within the next two patches. Seems like a 50/50 chance of a spawn after weekly downtime. So, most of us who've camped him at any point know that there's been a new spawn timer added.. Apparently, blizz has fixed the fact that he could have a reset spawn timer anytime the servers go down, and now set a nospawn window after server crashes/reboots.. The question here though, does anyone who's been camping him since this last reset (11/20/12) that knows approximately what his new spawn window is? I caught him today after 14 hours of camping him in total at about 20:22 PM on Ragnaros EU. We killed him with about 25 470-480 ilvled players, so he went down pretty quick. When he died I got Greathelm of the Monstrous Mushan and the achievement, ofc. Worth the 13/14 hours of camping! Galleon is a Pandaria world boss that is found in Valley of the four winds at the exact co-ordinates of 70.7, 63.6. Galleon is one of two world bosses of Pandaria alongside Sha of Anger, who is located however in Kun-Lai Summit. Both of these bosses are very highly coveted by all players for there very strong and high item level gear drops. Obviously for this reason, these two were not made as pushovers and are very difficult to defeat. A raid group of at least 25 level 90 well geared players is needed to bring them down. Galleon is on a very long re spawn timer, so its no surprise that people freak out when they finally see him in the distance. Galleon drops a variety of powerful item level 496 gear for your specific class, which gives u a big boost, considering its way stronger then even the gear from RF Terrace of endless spring. Most notable drop however is the rarely dropped and highly coveted mount Son of Galleon's Saddle. Many are disappointing, since most of the time all they receive is 28 gold and 50 silver after the epic battle. It is also important to note that Elder Charm of Good Fortune does work on this event, so it might be worth getting one before hand to avoid disappointment, and have that extra role to get more then just gold. Sha of Anger however drops powerful PvP gear as well 2 Tier armor pieces for every class, Normal version, not Raid Finder. Sha of Anger is in many then much like Alizabal who dropped the same type of loot back in Cataclysm. Sha of Anger works on the same rules as Galleon and also has a coveted drop known as Reins of the Heavenly Onyx Cloud Serpent. Hope this gave some insight. Just killed Galleon on a Crossrealm to find out that he does NOT drop loot if you are on a different server (Gold Coins works still though). But after a chat with a GM, he did reveal that despite being a world boss, he does not lock loot or anything if he happens to spawn twice on the same realm during a week. Spawned at 11 Dec 12, 2:55AM server time on US - Black Dragonflight, with 5:00 mins til server restart (Tues maint. ), with only 8 people on Horde side in the zone he wasn't downed. Kept tabs on server status using WoW Realm Checker app and also trying to to log-in myself anyway just to be safe every 5 minutes. Servers went live at approx 14:30PM and Galleon was NOT present, sat at his spawn for 20 minutes just in case, but nothing. All world bosses are now Tap to Faction. This new system offers every eligible player of the same faction that engages a boss the chance to earn loot. Under the new system, players will only be able to earn loot from each world boss once per week, but bonus rolls apply. Bosses will now respawn more frequently as well. Yay! faster respawn on galleon :D.
EDIT: Just got to love the people who downvote things like this and don't have the ballz to leave a reason why they did! Hats off to ya, you know who you are, the one over there hiding in the corner! do you have a second chance for mount if you use elder charm of good fortune ? I thought they were supposed to fix it (no idea where I read/heard that), but as of now, if you are running back from Galleon when he dies, you may not get achieves or loot or anything unless you are close enough, so if you aren't positive you can make it back before he dies, don't release. You *will* get loot while dead if you're in the area, just not if you are far away. I died, and was 20-30 yards from my corpse when the boss died, and I got credit. I also was allowed to roll an elder charm. My friend died a little after me, and was running back from the graveyard when the boss died, and got no achievement, no loot, no sack of gold, not even a pat on the back. According to the GM, this is "working as intended"™. "If you released, got mind controlled, disconnected, or are out of range of the fight, you don't get loot or credit for the kill." No achieves or loot will be handed out if you didn't get it automatically. Found him around 6:57 am on Kargath PvE server, thanks and good luck! Anyone else think the loot from skinning this beast is a ripoff? Suggestion, have a group of players designated to take care of ally(or opposing faction). That way you can avoid to many people getting flagged. This boss seems to always be a pretty big fight between horde and alliance, even on non pvp servers. New 5.2 Galleon respawn seems to be much longer than Sha's. Our group waited 2 hours after he was killed and he had not since respawned. Will update when he does to give people a good time frame. Alright he spawned about 90 mins after the kill but other servers are reporting anywhere from 30 min - 96 mins. Combat ended at 4:38:08 server time, was back up 5:38:18, almost exactly an hour respawn. As of Patch 5.2, has a 1-3 hour approximate spawn timer, confirmed on multiple servers. Also, it is important to note that he no longer requires you to be part of the raid group that tags him, as the tag is faction-specific now. This means that as long as your faction has initially tagged him and in battle, you can run up to him and start attacking and receive the tag as well, allowing you to receive the loot/gold upon kill. You can only receive loot/gold from him once a game week (resets on Tuesdays). On stormrage, just downed Galleon, took 90min for him to respawn. Contrary to what I read in other comments, it appears you can only loot him once per week. I just finished my second kill today and received nothing for the second. I don't know if this is new for 5.2 or not. Just checked in practice one of my idea, and it was getting to this boss loot to several chars (to not have to wait respawn). `Approximately every 3 hours / ~ 90 mins ! Since he's just like Sha of Anger now, here's a macro to check if you've looted Galleon for the week. Anybody know if you can get loot now when killing Galleon while cross-realmed? I know you couldn't before, I'm curious to know if that's been changed. Killing Galleon twice per week is pointless. Was not able to even roll a coin after my second kill. So save your time. EDIT : same goes for Sha of Anger. Credits to the guys at wowinterface. Did Galleon today and received loot at 86, if anyone was wondering. Is the one week lockout to receive loot a calendar week expired or the week between maintenance restarts ? As in if I looted on Friday ,will I be able to loot again on Wednesday ? Today is Wednesday, the maintenance day where all raids and valor points are reset, i killed today both Galleon and Sha of Anger and i received no credit for killing them. If they don't reset every Wednesday then what day do they reset ? I can confirm that you DO receive items from cross-server kills on this boss. there were speculations whether u do or u do not get the loot, as it was banned from Nalak and Oondasta - but here, it keeps dropping. Just changed Nihlo's code a little for better understandability: Changed the print text and flipped your escape sequences around to read "Looted" (in Red), Not Looted Yet (in Green). Only comes out 219/255 characters so it will still fit in a macro. Works as intended as of patch 5.2.0. 5.3.0. If you have already killed him ONCE that week you cannot use a bonus roll on him, even if you kill him again unlike LFR where you can bonus roll till you fall over. Spawned 90 min after kill today. Why isn't this boss skinnable? Tried to solo, got 4M hp off until died. I flew over him today and stopped to watch him fire upon that little village in the Silken Fields, and became curious. I wanted to see if his shots fired at the village were simply cosmetic or if they actually did some sort of damage. Standing in the impact zone, I ran around till I was finally able to get right in the path of one of the shots. It hit me for a low 15k (on mail armor), applied the dazed spell and knocked me back a ways. Death Knight and Monk vs Galleon! A lot of people don't like MoP and will probably not care, but am I the only one who is a bit sad to see that Galleon and the Sha of Anger have been forgotten about? I remember the earlier patches where you'd see "Loot and pillage..." and an instant later the whole of Four Winds chat would be filled with people asking for invites and urging you to kill the Alliance forming their own group. I would rather he was allowed to fade into obscurity in some instance than be left by a miserable quest hub near Halfhill to pester levelers. Killed him pretty easily with a 15 man group, not all 90's, only thing which was a pain was the stomp but a pretty straightforward fight! 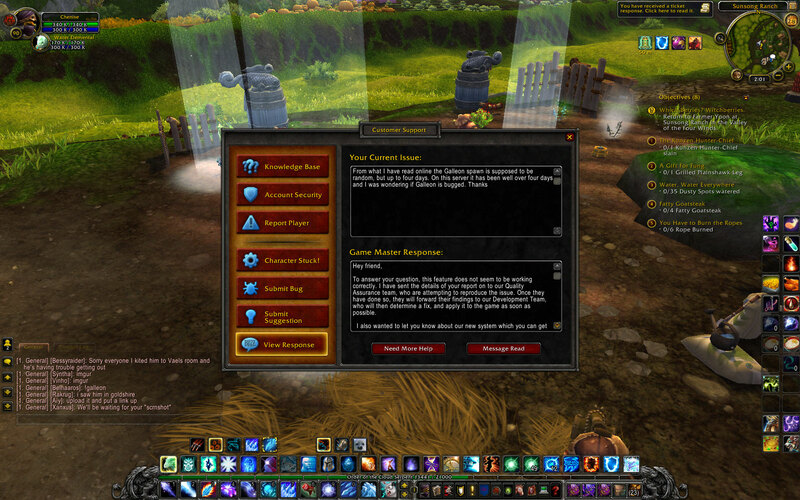 "All world bosses in Mists of Pandaria are no longer tap-to-faction. Players from both factions that engage the world boss at the same time are now eligible for loot." I just killed him with a pick up group of 12. Only one person did high DPS 280k which was a warrior with a 565 GS. There were 6 that did 80k-120k. The rest did 50k or less. We had one amazing priest healer that did 73k hps and a priest that did almost no healing or dps. We only had one druid tank with a 546 GS. I off tanked many of the ads as fury in def stance and no shield. I have a GS of 532. There was another fury warrior that tanked a few ads but I had most of them. It took us a little less than 5 minutes to down him. Speck for Wild charge, Cenarion Ward, Soul of the Forest, Mighty Bash and Dream of Cenarius. Adds are pretty simple to aoe down, stun / typhoon if you panic and need a second to heal yourself. Use Savage Defense if needed when the adds are up and save your Cenarion Ward for the stomp. Keep dpsing the boss and applying your bleeds. It takes a while to kill Galleon when soloing - but like most of the world bosses he doesn't have an enrage timer (unlike Ordos) and you can just keep going,survive and eventually down him. Very easy kill as a Beastmaster hunter with Spirit Beast tank. Make sure to keep AoE-ing the trash, glyph of misdirect is your friend. Anyone here who knows the spawn time of him? If anyone is curious, a Retribution Paladin can't solo Galleon at level 100, ilvl 656. I think I dealt about 500k damage to him before he stomped me into the ground. His melee hit me for about 40k a hit. Fairly easy to solo as a 100 Prot Warrior. Current ilvl is 675, however I imagine it would be about the same as a 630. The key is to prioritize and stagger the adds to trigger Victory Rush procs. Respawn time is sadly of 2 hours, wish it was 15 mins like sha and nalak, you realistically need to kill it 1.000-2.000 times with bonus rolls for mount, you can't camp 2 hours every time (well, I wouldn't like to, maybe someone does? ), I submitted suggestions to fix this and oondasta but nothing, if anyone else is interested try doing it as well, maybe we can convince blizzard with numbers; even made threads on forums but nothing. Players are horrible, especially dks,hunters,palas, druids that can solo it. In order to help us all get the kill easier, faster and with less frustration please visit these threads on wow-eu general forums and show your support. I soloed him today, 694 arcane mage. It was quick too, got him to 94% and I guess he had enough.......squish! Don't try it. its not a slow death, its quick. LOOT CHANGE 0.1% ! WTF BLIZZARD ? MILION OF PLAYERS ESCAPE FROM THAT INSANE AND BORING GAME ! Soloed as shadow priest with 737ilvl gear. You can use your pet with fade to soak some of the damage. Used Clarity of Power, healed myself with Devouring Plague and used Reflective Shields on CD pretty much. Nuked down the first add pack. Boss was almost dead as the second pack spawned so ignored them and killed the boss. Please submit a suggestion to lower Galleon's spawn timer. I'm sure if many people suggest it, it will be changed. In game press Esc then click Help and then Submit a Suggestion. :) I've already gotten a few of my guildies to do so and myself. Galleon now respawns between 1 and 2 hours. Just today I timed one respawn at 1 hour 4 minutes, the second one was 1 hour 45 minutes, and another was actually 2 hours 3 minutes. I've soled it with my pala retri with 690ilvl so it's no true it can´t be soloed(with a Retri Paladin), besides BM Hunters I´ve seen that DK's, Warriors and Paladins can do it(with a 675-700ilvl, I mean is not necessary be super geared), I know it hits hard but is possible, however is better do it in group for 2 reasons: Is faster and easier and because since it have a long respawn and is highly camped on many servers, is better give the opportunity to other people to get the mount, and it wont affect your chance to get the mount. So said this and if you want to try and test your skills just for fun as me I'll share some tips to solo it with a Paladin in Retribution spec. First of all, you will need be proper geared (I think 685ilvl as minimum is optimal) and well knowing about this class. You must focus on survivability more than do dps, this point is essential, you can't just overdps it, Paladin is a class with a great assortment of defensive spells take advantage of that. Use Eternal Flame above 50% health, cast Execution Sentence on yourself if you are below 50% health. Keep these 3 buffs with this priority: Uther's InsightLiadrin's RighteousnessMaraad's Truth this talent maybe is difficult to use because the gcd's but it provides the balance between the dps and healing we need. Use Divine Protection before each Stomp. If your life drops below 20% life be ready to use Divine Shield or Lay on Hands. And here comes a critical point, when Salyin Warmonger engages, you use your offensive cd's and start doing AoE and each time you proc heal yourself with Flash of Light this will keep you at full health at this phase, then just dps normal Galleon and repeat priorities. This fight will take you about 8-12 minutes to solo. I'm sorry if I don´t have a video to share but I hope it helps someone, happy hunting and Good Luck! Galleon's respawn timer seems to reset when there's a restart/shutdown. If you're camping him and he hasn't spawned before the server goes down then you have to wait all over again once the servers come back up. We just had this happen when our server had a restart: He last died at 8:32pm. Servers went down at 10:11pm and he hadn't respawned yet (so 1 hour 39 mins since he was last up). Everyone jumped back on immediately when servers came back up, he hadn't spawned, and we had to wait until 11:46pm when he respawned again (so about 1.5hrs after servers came back up). Galleon's respawn timer resets when there's a restart/shutdown. If you're camping him and he hasn't spawned before the server goes down then you have to wait all over again once the servers come back up. Lets hope the respawn timers of Galleon and Oondasta are reduced to the same as the other world bosses once Legion happens. Please submit suggestions in-game and on the official forums so we don't have to waste more time AFKing every week in out-dated continent. If you're interested in farming Galleon and Oondasta, their spawn times will be lowered in a future patch. They have a chance to drop the mounts Son of Galleon's Saddle and Reins of the Cobalt Primordial Direhorn. Rejoice, mount collectors - they will be reduced to 15 minutes in a future patch. New demon hunter killed Galleon today. I got the Extinction Event achievement, but no loot or gold bag. Anyone else noticing this? Is this normal? I thought at the bare minimum you received the Marauders gold bag. As of right now, it does not appear that Galleon will be tameable in Legion. Unfortunate, hopefully they change that. Although I know it would never happen, it would certainly would be funny to have tiny little guys riding on your hunter pet's back. With the new 15 respawn timer in Warlords, can these world bosses be looted more than once per week? I am a bit disheartened that I got nothing on my first kill this week and I am hoping that doesn't mean that I have to wait until next week! I arrived at Galleon's usual spot just as he was killed (Ugh). Camped out and the warband respawned what looked like 20 minutes later. I wanted to be sure so I stuck around after downing him and, again, about 20 minutes later, respawned. For all of the Pandaria world bosses respawn timer is 15 min. Don't for get your coins. You can bonus roll mounts too. Unsure when the change happened, but as it is now, the respawn happens every 15 minutes. Does Galleon have a weekly lockout? Or can he be looted like Huolon? This NPC can be found in Valley of the Four Winds. Fire Shot – Saurok Skirmishers riding on Galleon's back fire flaming crossbow bolts at random players, inflicting 29 Fire damage. Stomp – Galleon stomps the ground, inflicting 246 Physical damage to players within 100 yards and knocking them down for 3 sec. Cannon Barrage – Chief Salyis orders his minions to fire off eight powerful cannon blasts. Each blast inflicts 590 Fire damage to players within 10 yards and knocks them back. Salyin Warmonger – Chief Salyis's Warmongers periodically jump down from Galleon's back to engage players. Impaling Pull – The Warmonger uses an Impaling Pull to bring a distant target towards them and inflict 14 Physical damage.